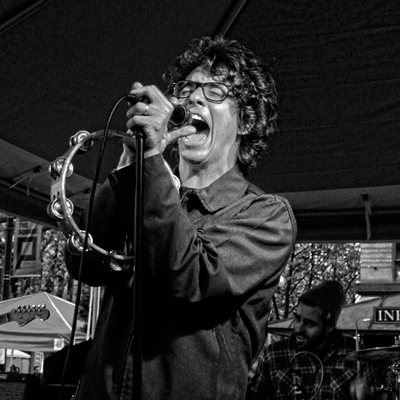 Pickwick has been touring steadily throughout 2013 since the release of their debut record Can't Talk Medicine earlier this year. The Seattle band closes out 2013 in style with a two-date say in Chicago Illinois. The poster above is our latest design for Pickwick. FYM was going for a classic boxing poster vibe with red and black Chicago colors, and clean layout to make the large amount of content easy to understand. Last Saturday in Seattle Pickwick pulled off a fantastic pop-up show in Pioneer Square. FYM was really impressed with how tight the band sounded, the stellar new tunes they played, and lead singer Galen Disston's energy was as fiery as we've ever seen him perform. 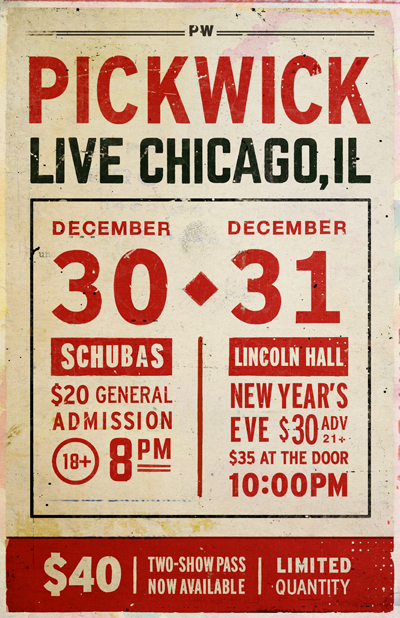 Click HERE to purchase tickets for the Chicago New Year's Eve Performance.